Tarantino's Hateful Eight Trailer to Debut Only in Theaters with Sin City 2? We've had multiple reports that director Quentin Tarantino will start shooting his revenge Western The Hateful Eight next year, with the first poster that debuted last month confirming a 2015 release date. Even though production is still months away, a new report has surfaced that claims fans will see the first teaser trailer for The Hateful Eight attached to prints of Sin City: A Dame to Kill For. /Film discovered this image on an exhibitor section of The Weinstein Company's website, which clearly states that The Hateful Eight trailer will be shown with Sin City 2. However, that site also indicates that this trailer will only be shown in theaters, and will not be released online. They also received numerous tips from movie theater employees, who revealed that they had been sent information about the trailer that will be enclosed with DCP distribution of Sin City: A Dame to Kill For, which hits theaters on August 22. In addition, the trailer was recently rated and approved by the Alberta Film Ratings Board. The one minute and 47-second trailer was given a G rating on August 11. The film board's classifications usually take place seven to ten days before the trailer pops up in theaters or online. Naturally, no actual footage from the movie will be shown, but with that being said, what will this teaser consist of? It's possible that Quentin Tarantino may include footage from the one-night-only live reading of his screenplay, but that has not been confirmed. The story follows a group of random strangers in the Old West, including two bounty hunters, a rogue Confederate soldier, and a female prisoner, who are stranded in a saloon together during a dreadful blizzard. 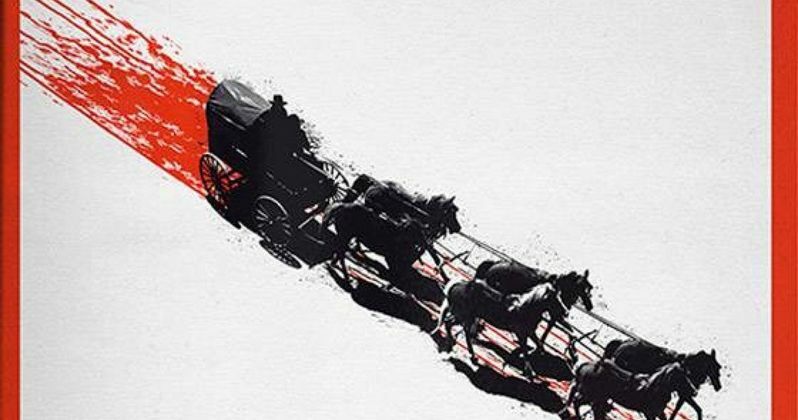 Are you excited to see The Hateful Eight trailer in theaters next weekend? Chime in with your thoughts below.